Learning is not easy, especially upon entering the turbulent world of the first year of higher education. Learning takes time, requires effort, and is developmental. Learning that matters is difficult to assess. With respect to learning outcomes, most colleges focus much more on the traditional cognitive, affective, and psychomotor domains, and largely ignore the critical conative domain. This keynote will highlight the importance of the conative domain as it relates to early college success and beyond. The issue of how today’s learners differ from previous generations of entering students and why it matters will be addressed. Finally, effective blends of pedagogical strategies and technological affordances for first-year college learners will be described, especially with respect to how authentic tasks can be used to assess the most important learning outcomes. Thomas C. Reeves, Ph.D., is Professor Emeritus of Learning, Design, and Technology in the College of Education at The University of Georgia. He earned his Ph.D. at Syracuse University with a concentration in program evaluation. He is former Fulbright Lecturer in Peru and he has been an invited speaker in the USA and more than 30 other countries. From 1997 – 2000, he was the editor of the Journal of Interactive Learning Research. In 2003, he received the AACE Fellowship Award from the Association for the Advancement of Computing in Education, in 2010 he was made a Fellow of the Australasian Society for Computers in Learning in Tertiary Education (ASCILITE), and in 2013 he received the Lifetime Award from the International Association for Development of the Information Society (IADIS) as well as the David H. Jonassen Excellence in Research Award by the Association for Educational Communications and Technology (AECT). 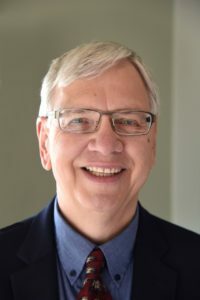 His books include Interactive Learning Systems Evaluation (with John Hedberg), A Guide to Authentic E-Learning (with Jan Herrington and Ron Oliver), Conducting Educational Design Research (with Susan McKenney), and MOOCs and Open Education around the World (with Curt Bonk, Mimi Lee, and Tom Reynolds).